Did this strange Bubba Watson tree incident cost him the Valspar? 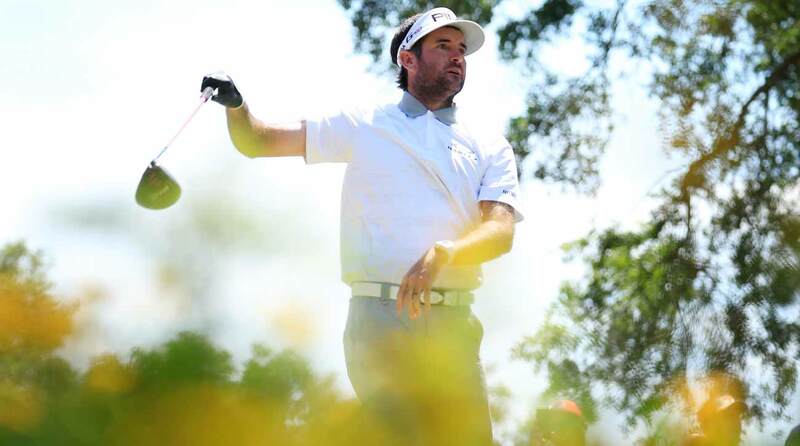 Did this strange Bubba Watson tree incident cost him the Valspar Championship? Bubba Watson threw down one of Sunday’s best rounds at the Valspar Championship, firing a closing three-under 68. But it could have been far better if not for a strange tree incident at the par-5 14th that may have cost him a chance to win the golf tournament. So what happened? First, Watson launched a 332-yard screamer down the right side of the fairway, instantly making the par-5 reachable in two. With just 233 yards left, Watson shaped a shot at the green, though he ended up hitting it just to the right of his target, where it struck a tree — and then vanished. Watson’s new yellow ProV1x got caught up in the branches of the tree and just never came down. Bubba Watson's golf ball ran into a spot of bother at the par-5 14th. Credit to Watson for keeping his composure. Because he was unable to track down the ball and identify it as his own, he got a cart ride back to the same spot he’d just hit from in the fairway, 233 yards from the hole, and this time hit his approach to the fairway just short of the green. He got that up and down for a bogey six, effectively limiting the damage of the lost ball. The question is, did the tree cost Watson the tournament? Had he not had to return to the fairway, but instead gotten his chip up-and-down for birdie, Watson would have gone to six under par. If the rest of his round had played out the same, with birdies at 16 and 18, he would have finished at eight-under, right where Paul Casey did, and the two would have headed for a playoff. A what-if scenario, to be sure, but not out of the realm of possibility. Watson made an impressive bogey after his ball got stuck in the tree. This isn’t the first time a pro’s ball has gotten stuck in a tree, of course. You’ll recall when Sergio Garcia actually climbed and played his ball from a tree at Medinah in 1999, or when Rory McIlroy’s ball stuck up at the 2012 PGA Championship (which he won anyway) or when Rickie Fowler unsuccessfully tried to identify his ball with a pair of binoculars at last year’s Players. But after the round, Watson didn’t harp on the misfortune. Instead, he was pleased with his finish and focused on the week ahead, where he’ll attempt a title defense after winning the WGC Match Play last year.